Author Cassandra Fallows believes she may have found the story that could become her next bestseller. When she was a girl growing up in a racially diverse middle-class neighborhood in Baltimore, a shy, quiet, unobtrusive child named Calliope Jenkins orbited Cassandra’s circle of friends. Later Calliope would be accused of an unspeakable crime and would spend seven years in prison for refusing to speak about it. But by delving too deeply into Calliope’s dark secrets, Cassandra may inadvertently unearth a few of her own—forcing her to reexamine the memories she holds most precious, as the stark light of truth illuminates a mother’s pain, a father’s betrayal . . . and what really transpired on a terrible day that devastated not only a family but an entire country. 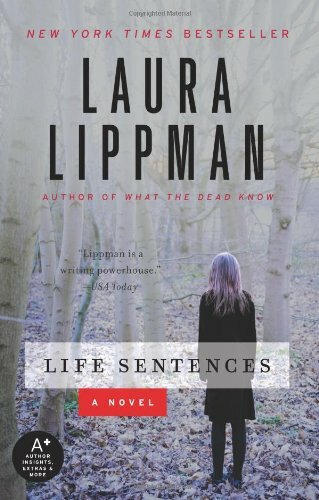 Laura Lippman grew up in Baltimore and returned to her hometown in 1989 to work as a journalist. After writing seven books while still a full-time reporter, she left Baltimore Sun to focus on fiction. She is the author of multiple New York Times bestsellers including What the Dead Know and Life Sentences, she has won numerous awards for her work, including the Edgar, Quill, Anthony, Nero Wolfe, Agatha, Gumshoe, Shamus, Barry, and Macavity. Life Sentences suggests that stories belong to whomever tells them. Is that fair, unfair? Under what circumstances, if any, does a story—a life—belong only to the person who lived it? Is Cassandra a likable person, or at least an ethical one? Does it matter if she’s likable? Was Cassandra’s memoir, Her Father’s Daughter, “true”? What do you think happened to Callie’s son? Does she tell Cassandra the truth, or the truth as she needs to believe it? Is there a difference? Life Sentences has many references to myths and folk tales—stories of the ancient Greeks, but also Br’er Rabbit. What myths do the characters need in order to go about their day-to-day lives? Does Tisha have a myth that sustains her? Gloria Bustamante? Cassandra is white, most of her childhood friends were African-American (as was her stepmother), and Gloria Bustamanate is Latina. But is race that central to the story of Life Sentences? In what ways? Why does Lenore allow her husband’s version of events to stand uncontested? Is Cedric Fallows self-aware? Does he have any sense of the way he has affected his daughter? What has Cassandra learned beyond the facts of her own life and Callie’s life? Does she change over the course of this book? In what ways? Would the Cassandra we meet in that opening chapter make the same choices that Cassandra makes at the book’s end? What point is Tisha trying to make when she shows Cassandra a small inaccuracy in Her Father’s Daughter? On the last page of the novel, Callie passes a sign that Cassandra has also noticed: If you lived here, you would be home by now. Cassandra had wondered if the sign was a tautology, or at least mildly redundant. But Callie responds to the sign very differently. What does this tell us about Cassandra and Callie? Where is Callie—in her life—at the book’s end? Has she found a home in the world? Has she at last made all the lies true?